You're enjoying an immense battle against imaginary foes while camping in the woods near your home when suddenly you get a weird urge to rush home. When you get there, you find your parents missing and the supper still cooking in the fireplace. Where are they? What's going on? Your journey in a world about to go through a historic event starts here. You are The Kid. The Kid is now up on Steam Greenlight. I keep coming back to this project after a long downtime and thinking "man, I should really finish this". I recently finished a freelance game programming gig I had been working on for the last couple of months, and I figured I'd try and get some extra motivation for finishing The Kid next by posting it up on Greenlight. I will keep working on the game, whether the Greenlight campaign is successful or not. Most of the major game mechanics are already in place with some of them needing more further work (I'm looking at you, sucky ranged combat and confusing quest system!) than the others. 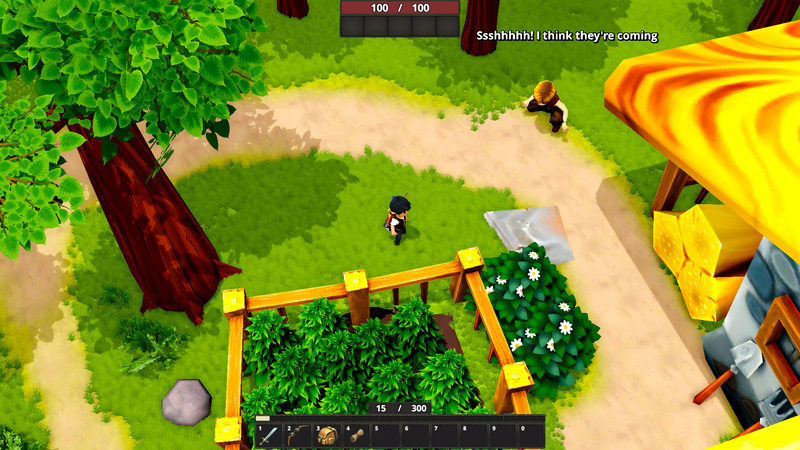 I have also kept working on the game content in form of different game areas and NPC's and writing some quests. Installment 4 of WeekendWhut - random weekend status update. The third WeekendWhut is about dialogue, one of the major parts of a CRPG. Welcome to the first ever edition of WeekendWhut (tm, copyright, etc) where I talk about what I achieved over the weekend! Working furiously to get a casual #iOS #indiegame ready for release to make room for the next project. Hard to stay #motivated sometimes. Hello world. It's almost time to get back in the game. Been too long.